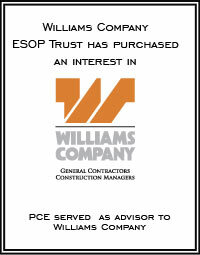 The Williams family business was founded in 1920, and since has been one of the largest builders in Central Florida. Today, the company has revenues exceeding $125 million annually, offers its services throughout Florida and the Southeastern United States. With headquarters in Orlando, the Williams Company is currently licensed in 15 states from Texas to Maryland. The Williams Company’s services include general contracting, construction management, design/build, and turnkey development. The company works primarily in the commercial, retail, industrial, and educational markets supporting clients with site selection, conceptual estimating, feasibility studies, constructability analysis, project management, scheduling, cost control, and quality assurance.